Buying a DD-WRT router is a common practice for sharing the VPN connection with the family members in a house or staff at a workplace. These wireless routers are equipped with tools that a standard software system does not have, allowing to take better advantage of the hardware in a network. The VPN capabilities are one thing, but there are several other rewards of a DD-WRT router which you can benefit from. 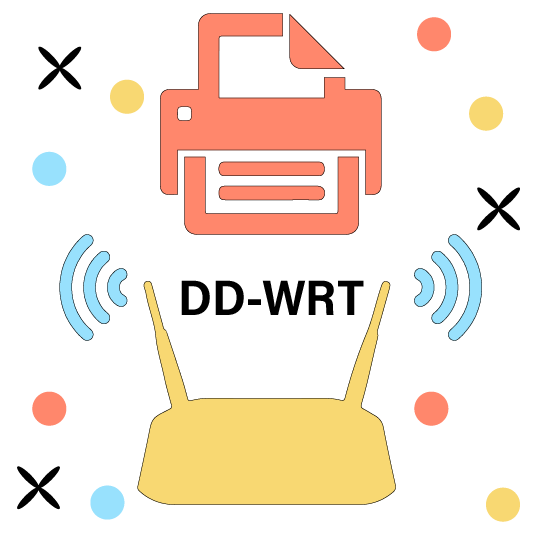 This blog post will provide a complete guide on another beneficial use of a DD-WRT router – Sharing a printer in a network, which is very simple to set-up in a couple of quick and easy steps. No PCs in a network are required to be turned on or connected with the printer to use it but a simple connection with the router will do the task properly. This is especially beneficial for those who use laptops, smartphones or tablets without any access to desktop computers. Any DD-WRT router with a USB port can be enabled by this procedure. The printer is connected into the DD-WRT router and switched on. 4 options may appear on the screen where USB Printer Support and Core USB Support must be enabled. If a hard drive is to be connected as a NAS storage, the user must enable “Automatic Drive Mount” as well. By “Saving the Changes” and “Applying” them, the printer can be used by any device connected to the network. Standard procedure to add a network printer in the Operating System of the device must be followed. Here’s a tutorial on how to enable the shared printer in Windows 7. Select the second option, “Add a network, wireless or Bluetooth printer”. Enable “Add a printer using a TCP/IP address or hostname”. Add your IP address in the “Hostname or IP address” field. Windows 7 automatically develops a port name for the port in question. Moving forward, windows detect the printer in question which probably results in failure. Click “Next”. A list of models pops up on the screen. Select the one that matches your printer. Give your device (Printer) a name. Enable sharing the printer with others on the same network. Check the recommended option to use an already installed driver for the printer. Print down a page from the newly installed printer to see if the driver works perfectly. Click “Finish” when process is completed.